This week’s releases were quite dull as not many big budget Telugu films released this weekend. But collections wise, the Hollywood film The Legend of Tarzan is dominating the theaters. Trade pundits reveals that the collections of this Hollywood film are way better than films like Rojulu Marayi and Ardhanaari. 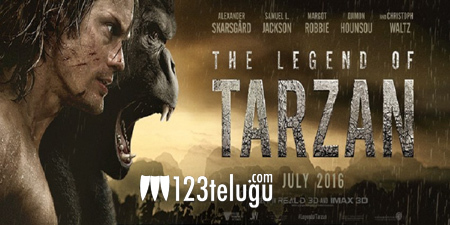 Also, the film Tarzan releasing in Telugu, the craze is even bigger. Even in the coming week, as there is no big Telugu release looks like the old releases will get some life at the box office.